Exotic tropical house plants can help to make your house to stand out. Below is a list of the best exotic tropical house plants that are easy to grow. So even if you are a new gardener, growing these plants should be pretty easy. The String of Bananas is native to South Africa and is one of the most exotic plants that will look great indoors. It features multiple tendrils of banana shaped foliage that are glossy. The plant is relatively easy to grow which makes it a perfect house plant for novice gardeners and those who are looking for a succulent house plant to decorate their living room. Fairy dusters are ideal for those who want a drought tolerant ornamental shrub. This plant can work well in warm and dry areas. It can be planted in a pot as a bonsai to be placed indoors or it can be planted outdoors. The plant can sure enhance your home’s curb appeal. 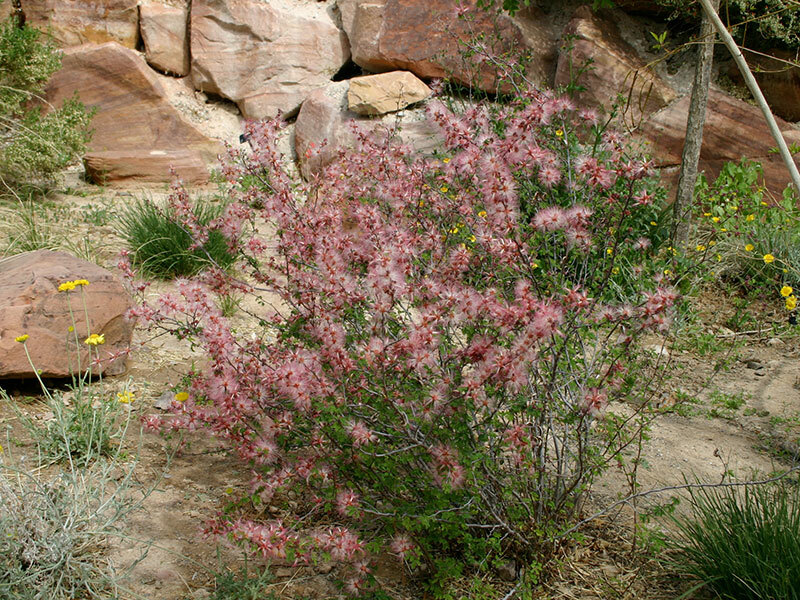 It has feathery and light green foliage that’s accented with pale pink flowers that blooms in late winter until mid summer. Another exotic tropical house plants that can make your home look beautiful is the Golden Mimosa. This small graceful plant can adapt well indoors. It is filled with yellow beautiful flowers that can almost cover the entire plant. The plant is easy to care and maintain and can grow even with 18 degree weather outdoors. 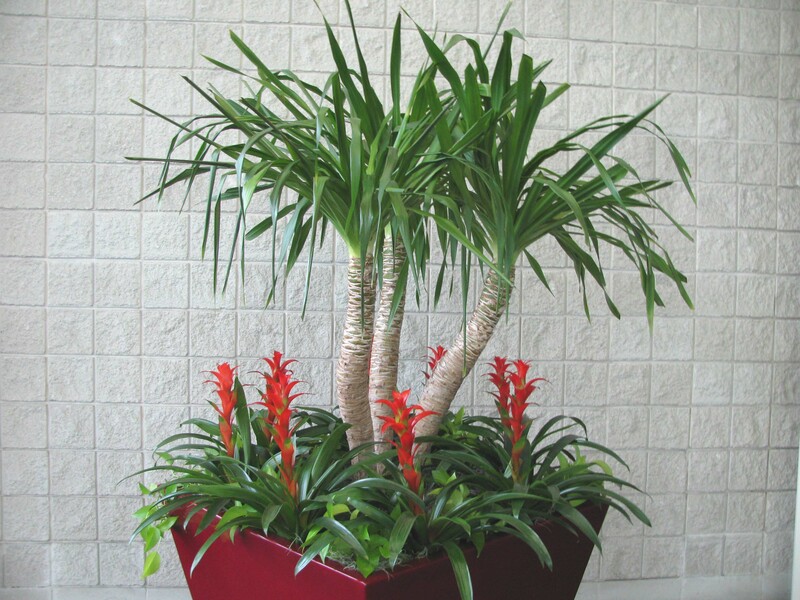 The Gryphon is a beautiful foliage that can be placed indoors or out in the garden. This tropical house plant features a majestic beauty known for its strength and durability, which makes for an outstanding presentation in either a single or combination containers. The plant is easy to grow and in fact, it is known to germinate easily and produce plants that are highly tolerant to stressful conditions. The Gryphon is also easy to care and produces beautiful flower displays, which makes it a great plant for both indoors and outdoors. 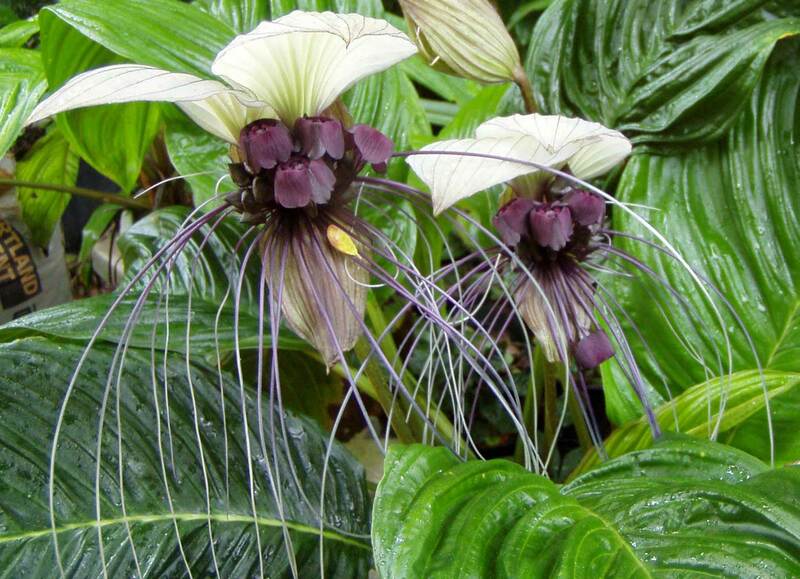 The tropical house plants names are often based on what the flower looks like. 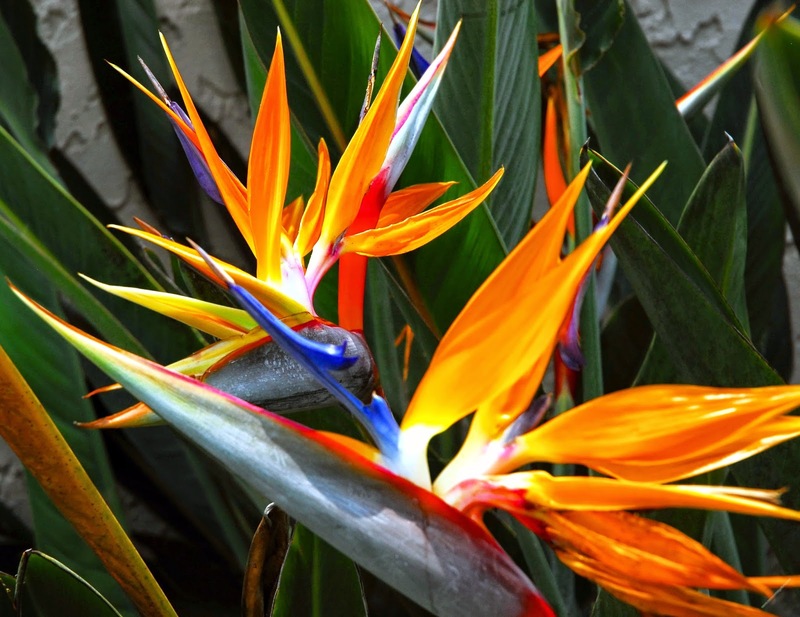 For instance, the Bird of Paradise is name as such because if you look at the flower of this plant closely, it resembles a beautiful bird. Indeed, this stunning flowering plant can make for a beautiful decoration for your house both indoors and outdoors. It blooms several times in a year, as long as it is taken care of. The plant is relatively easy to grow and care for and it can thrive well in warm balmy days all year round. Another beautiful and upright herbaceous shrub that has spectacular large leaves is the Elephant Ear Tree. The plant has huge leaves that are about 24 inches in diameter and features thick and fleshy rootstock. It is often used as an ornamental, and can work well in both indoors and outdoors. It’s also easy to grow, care and maintain, which is perfect for new gardeners. The Dwarf Schefflera is another attractive house plant famous for its hardiness to various growing conditions. The plant is a great accent indoors for home and office. This lush green plant can grow into a large and bushy plant and can tolerate over watering, dry spell and low lights. These Brilliant white flowers can grow up to 12 inches in width and can stand upright with its petals spread out well, to the extent that they look like a white dove, or a bat-like form. Its throat shows the shades of purple and brown. This flowering plant is truly exotic and unique, which makes it an irresistible indoor tropical house plant. This house plant has one of those unique tropical house plants name, famed for its velvety soft grayish silver leaves. The leaves are shaped like that of a lamb’s ear, thus the name. The good thing about this plant is that it is drought-tolerant. It is one of the most sought after foliage perennials used commonly as edging on borders and pathways. It can also make for a nice decoration indoor as it can tolerate low light level and dry air. It is also for these reasons why this plant is among the easiest house plants to grow. 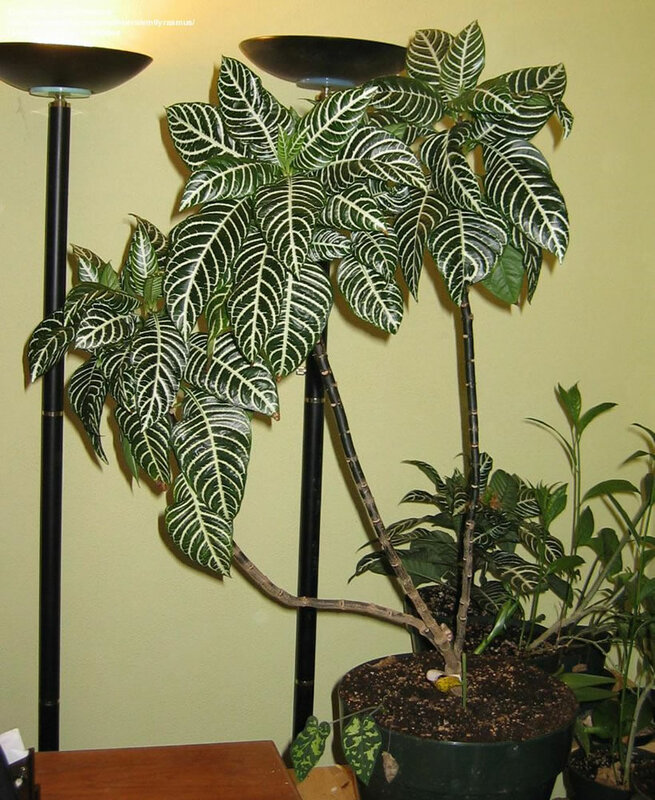 If you require a low maintenance plant, then the arrowhead plant will be a great choice for you. You can choose to hang this plant in baskets or plant on a trellis. 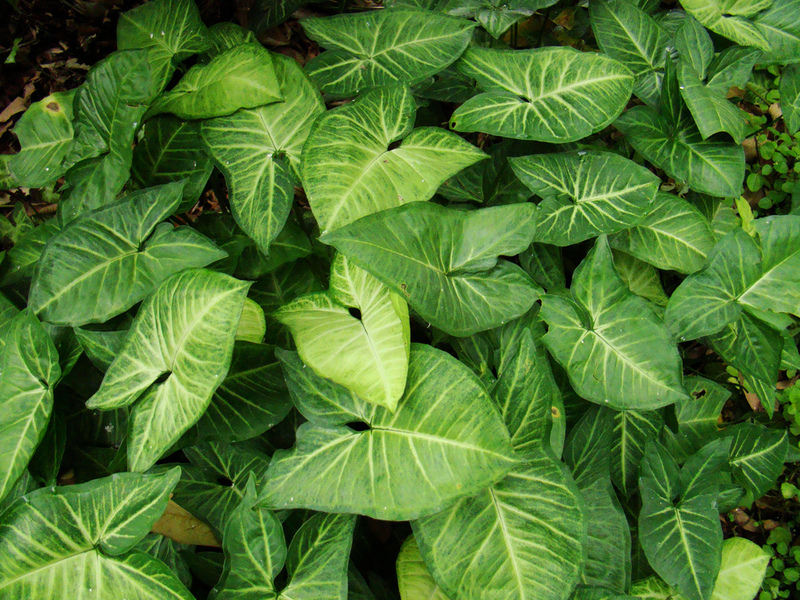 Native to Mexico and Ecuador, the arrowhead plant is an evergreen plant that usually grows up to 6 inches in length. As a house plant, it requires similar tropical house plants care as that of the other tropical plants, which is regular watering. This attractive ornamental foliage can change shapes as soon as the leaves mature. Another exotic tropical house plants that are easy to grow and maintain is the Bronze Spike. The plant can be grown outdoors or indoors. It features ribbon like leaves that arise from the middle of the plant and grows into a gentle outward curving effect. The leaves can grow up to 24 inches and can turn into a bronze brown shade under a full sun. Often known as the Spikes, due to its stiff upright growth, the Bronze Spike can also be displayed along with other plants in a mixed container. Its deep color offers contrast and ornamental interest as well. The Cabbage Palm is a great house plant to add in your house plant collection. 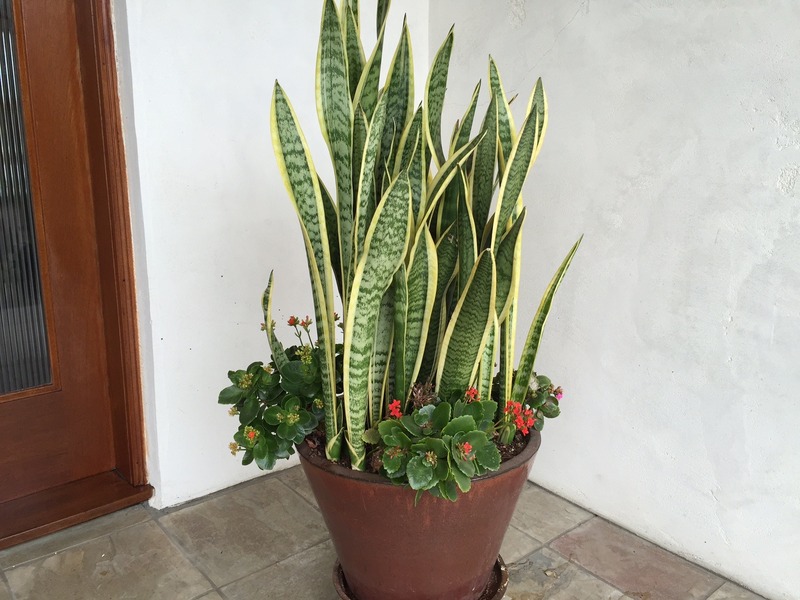 It can make for a beautiful container plant that is extremely easy to care for. It features long and slender grass fingers that look like a false palm. It is also fast growing and can tolerate daily abuses and low light. Furthermore, the cabbage palm is long lived and low maintenance. 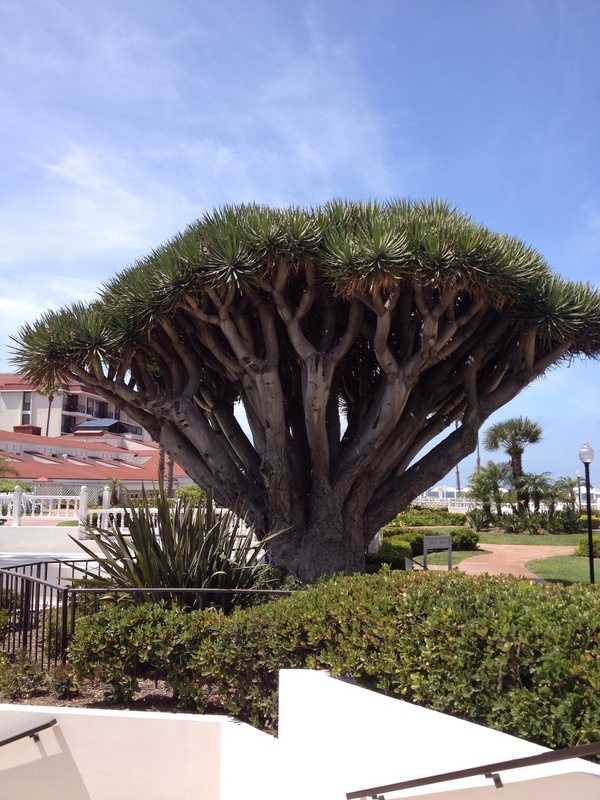 Another attractive, interesting and succulent tree that’s usually used as indoor tropical house plant is the Dragon Tree. Although a tree, it remains small when grown in containers indoors. However, if you plant it in a ground outside, near a frost-free climate, it can grow to a massive 25 feet tall. The ends of the thick branches can hold clusters of about two foot long and 1 ½ inches in width. It will remain un-branched until it begins to flower, where it could produce two large heavy branches on both sides. 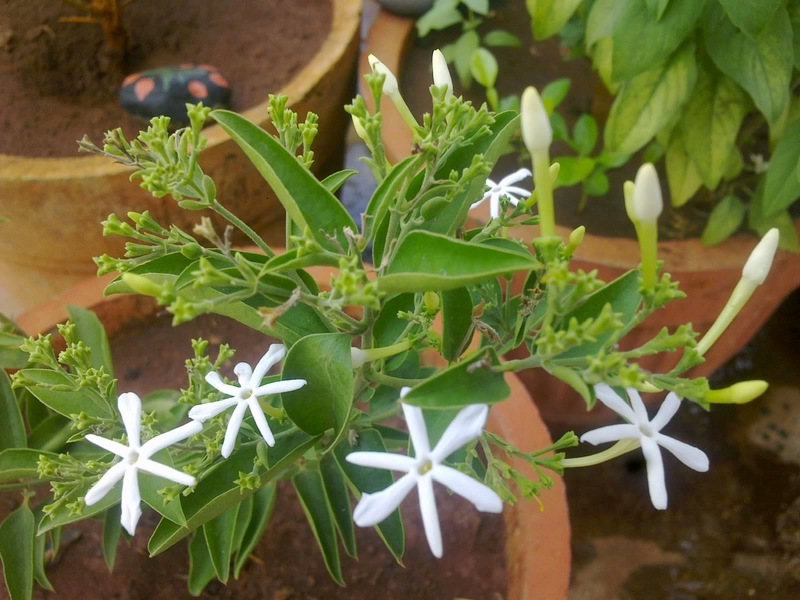 If you want a sweet smelling flowering plant that is also versatile, then the night blooming jasmine would be a great choice. This is an upright container plant that originated from the West Indies and produces greenish white flowers that emits romantic fragrance during the night. The good thing about this indoor tropical plant is that it can be easily grown in pots on colder climates either in your sunny rooms or patios. If you are looking for an exotic house plant that you can grow in your garden or patio, then you may want to check out the Angel Wings Miniature Roses. These plants can bloom in as little as three months from the time they germinate. This plant variety produces a steady supply of double and semi double roses that are sweet smelling and come in the beautiful shades of white, pink and rose. 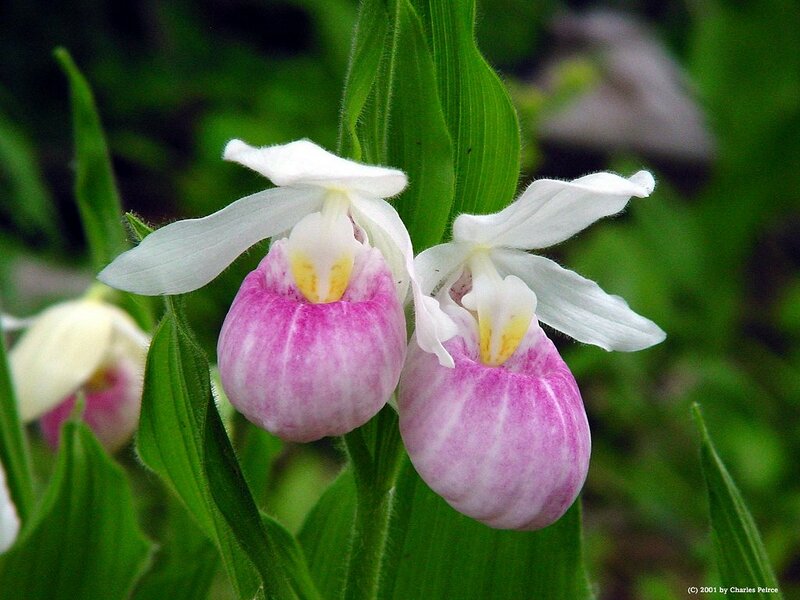 The Lady’s Slipper Orchid is also one of those exotic tropical house plants that are easy to grow. The plant hails from Southeast Asia and its blossoms range from soft pink flowers to daring shades. This is also the only terrestrial orchid that can be easily grown indoors for as long as you provide it with the high humidity that it craves. The crab cactus came from Brazil’s tropical forest, where it would make its home among the trees. The name comes from its deeply indented edges that look like they are the claws of a crab. It produces huge beautiful flowers during the fall, which is either in pink, white, red or in some cases, bi-colored. The Zebra plant features bold striped foliage and for six weeks in autumn, it can grow to vibrant yellow flowers that will emerge from the golden branches for a scene stealing show. In the wild, it can thrive in the regular downpours that the Brazilian rain forest receives. It can also work well indoors, as long as the humidity is high. The croton is another exotic tropical house plant that is easy to grow. It is widely cultivated as house plants and ornamentals, featuring different shapes and colors of leaves. You can find that it comes in shades of green, red, orange and yellow. The new leaves of the Croton plant are in green and will change its color as they mature. The Yucca plant is great for both indoors and outdoors. As a matter of fact, when gardeners hear the word Yucca, they will think of the garden varieties that have dramatic clusters of bell like white flowers especially in summer. The Yucca plant is a garden and house plant that will be quite happy with receiving so much sun. Just like with the tropical house plants care that you give to your other tropical plants, the Yucca plant needs to be given rigid watering interval. This plant is known for its remarkable and striking features, which makes it a perfect house plant to decorate your home. It is becoming increasingly popular as an indoor plant and this could be due to its near indestructible qualities. This house plant is ideal for new gardeners since it is easy to grow and maintain. 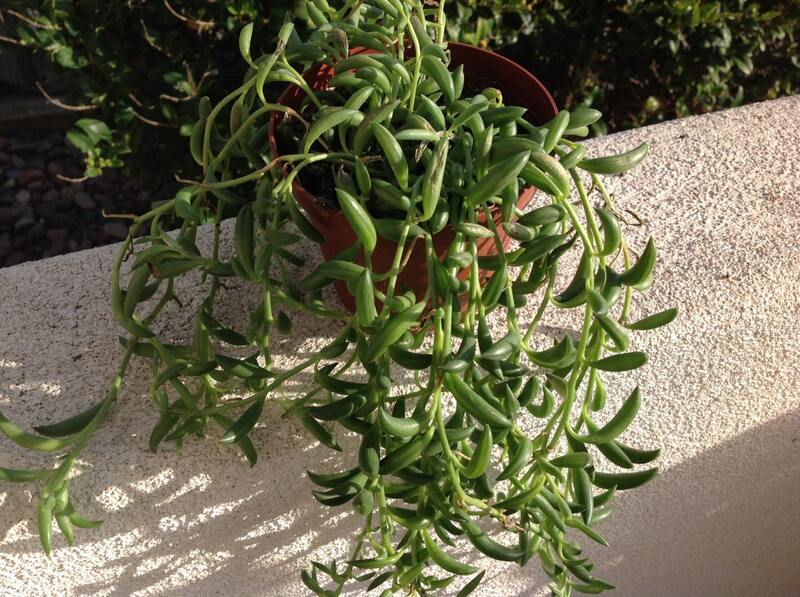 It is a carefree type and will thrive well on dry soil and air, making it a perfect indoor tropical plant. You certainly have lots of options when it comes to exotic tropical house plants that are easy to grow. So even if you are someone who does not have a green thumb, you still can grow a house plant successfully if you choose to plant any of the house plants listed above.